Tampa Bay residents will have more choices in their grocery store shopping this year as Sprouts Farmers Market opens additional stores by the end of this year. The South Tampa location, at the corner of West Estrella Street and South Dale Mabry, will open May 24, 2017. A Pinellas County store will follow in Palm Harbor on US Highway 19 North, opening later this year. The first Florida Sprouts store opened on North Dale Mabry in the Carrollwood area in February of this year. “Sprouts and Tampa are a natural fit! There is a strong demand for healthy products at great prices across the Bay Area and we're thrilled to continue to grow our presence within each of its unique communities,” says Diego Romero, a spokesperson from Sprouts. The store interior is like an indoor farmers market, with wooden crates stacked with fresh produce and bins and barrels of bulk foods. Stores have open floor plans and low displays offer a mix of mainstream and specialty grocery chains. They feature a large selection of natural and organic items as well as a large selection of prepared foods. Community involvement is important to Sprouts and they believe in giving back to the community they serve. They support local non-profits and educational institutions that share their goal of improved health, nutrition, and fitness. They are participants of the Scrip fundraising program where non-profit groups can buy their gift cards at a 5% discount and then resell them for full price. They’re also involved in a food rescue program by donating at the end of each day any unsold and edible – but not marketable – groceries to local area hunger relief agencies and charities. 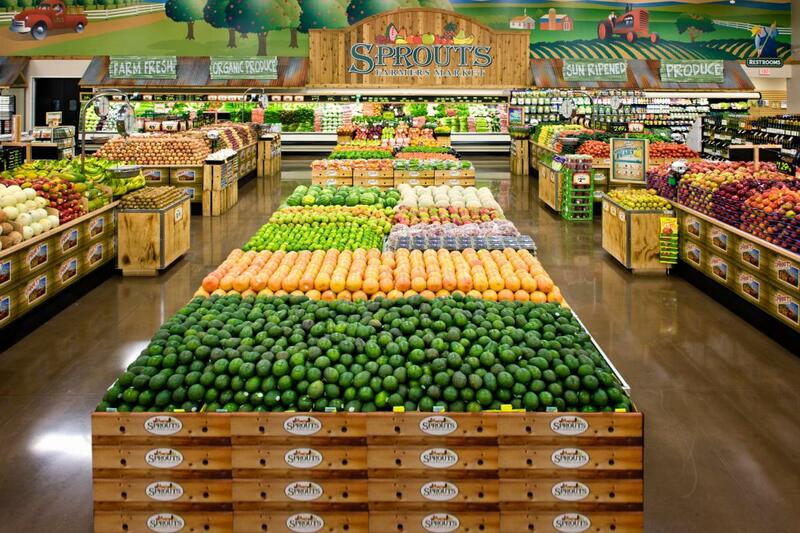 Sprouts Farmers Market has 250 stores in 15 states and has plans to open 11 additional stores nationally in California, Arizona, Nevada and Tennessee in 2017.